Finisher Series PRIZE awarded to those who COMPLETE ALL THREE RACES; INFO BELOW! Register for ALL THREE YMCA Races for an additional $50.00 Near Checkout! Comes with Grand Prix Swag & Awards for people who finish all three races including $10 Sayville Running Co. gift cards for all series finishers! 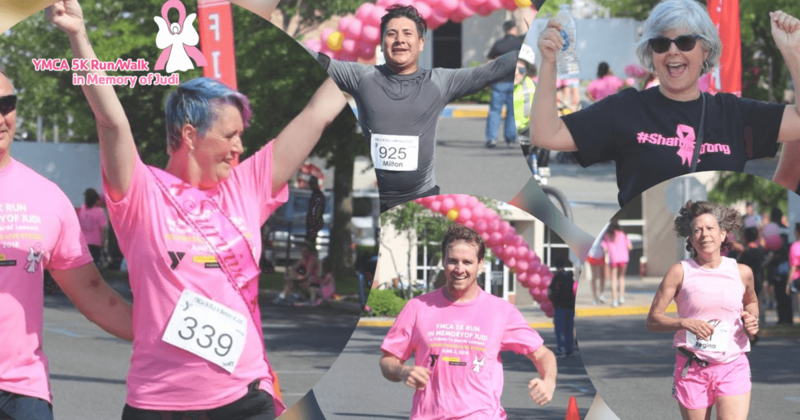 The YMCA 5K Run – IN MEMORY OF JUDI is an annual 5K Run/Walk established to bring our community together in an effort to support friends, neighbors, and families battling breast cancer. Proceeds from the event go to local families in crises as well as to fund scholarships for graduating high school seniors impacted by breast cancer. Race proceeds will also support LiveStrong at the YMCA, a free 12-week group-based exercise program for cancer survivors. Part of the Y’s commitment to strengthening community through healthy living, the program offers adults affected by cancer a safe, supportive environment to participate in physical and social activities focused on strengthening the whole person. Of course, all is done in honor and memory of our good friend and inspiration, Judi Shesh. Judi was a mother, a friend, a Y preschool teacher, a community leader, and an inspiration. Although she lost her second battle with breast cancer at the age of 41, her courage, love, and kindness will live forever in the hearts of the people who knew her and loved her. Please join hundreds of people from all over Long Island to celebrate and honor Judi Shesh while raising money and awareness in our fight against cancer. Enjoy the race and thank you for all of your support! 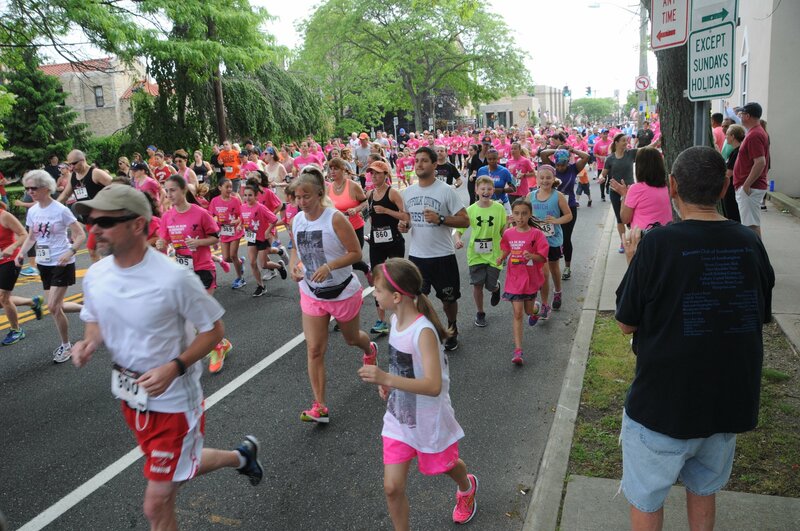 Pre-Registration Packet – Packet pickup available Friday, May 31 from 10:00am-6:00pm at the YMCA. Race Day Registration and Check-In Begins at 6:30am – Pre-Registration & Race Day numbers can be picked up at the Y on the day of the race. No numbers will be issued after 8:00am. Start Time – The 5K begins at 8:30am sharp rain or shine. Join us post-race for RAFFLES & FUN! AWARDS Top three finishers in each age group, as well as to the overall top male and female runner. Finisher Series PRIZE to those who COMPLETE ALL 3 RACES; INFO Under YMCA Race Series! T-SHIRTS will be given out at Bib Pick up the day before the race and also available the morning of the race. Tee Shirt SIZE is guaranteed if you register by 5/11! COURSE DESCRIPTION The 5K Race will begin at the YMCA and take a scenic route westbound through Bay Shore / Brightwaters finishing at the YMCA. A map will be available on race day.